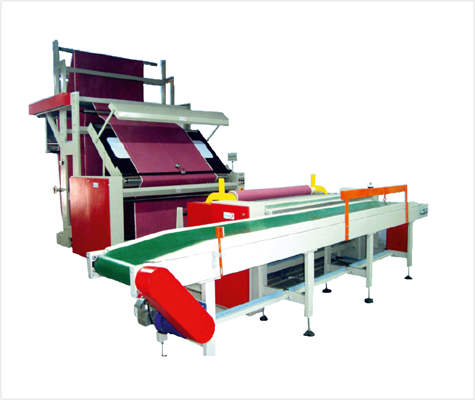 The most advanced, State of art Fabric Double Fold Machine Model Check Master Finish is a pride of "Gayatri " & is comparable Tensionless Fabric Inspection Machine to most high and technology machine. This Model covers full range of possibilities and is suitable from most delicate to heavy fabric quality promising high accuracy to fabric double fold machine handing equipment and lenght measurement. Check Master Finish is equipped with PLC Control which has been devloped to considerably reduce labour, improve productivity and operator efficiency. A dream for all quality textile machine manufacturer supplier and exporter of tensionless fabric inspection machine in Mumbai India and all over the world.